Catalog Page 4 - 7" and 10" Patches Paw Bears with embroidered eyes. Catalog Page 4. Order 7" and 10" "Patches" Paw Bear. 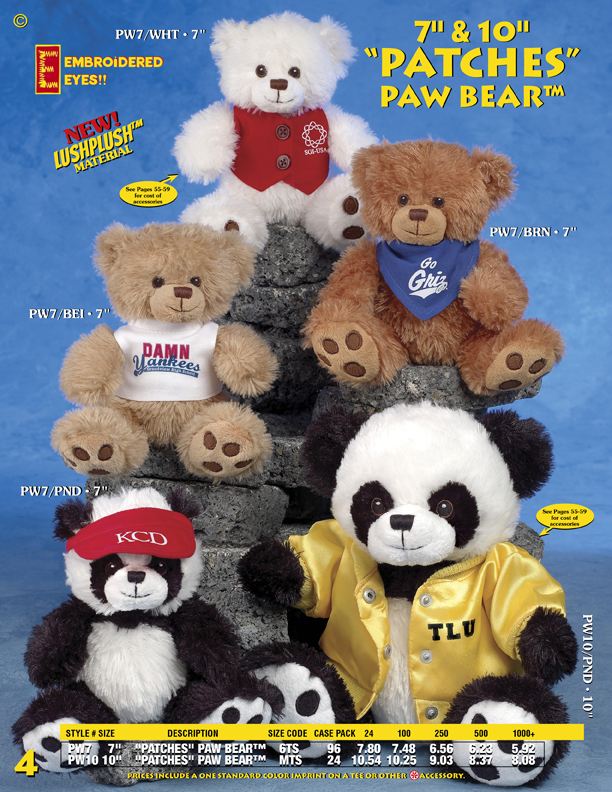 The Patches Paw Bears are available in white, brown, beige and panda colors. Stuffed bears with printed t-shirts for sale. The above pricing includes the t-shirt or accessory with your one-color logo. The lead-time for production is 10 - 14 days.